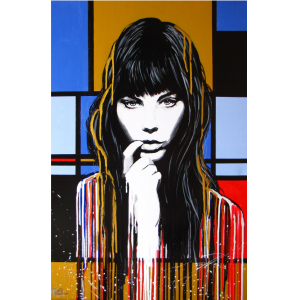 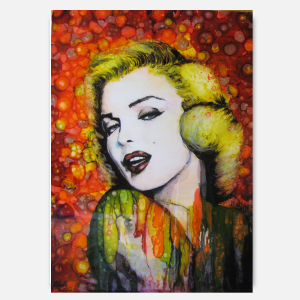 This painting is part of the Icons series I painted using the ” Mondrian ” Style background. 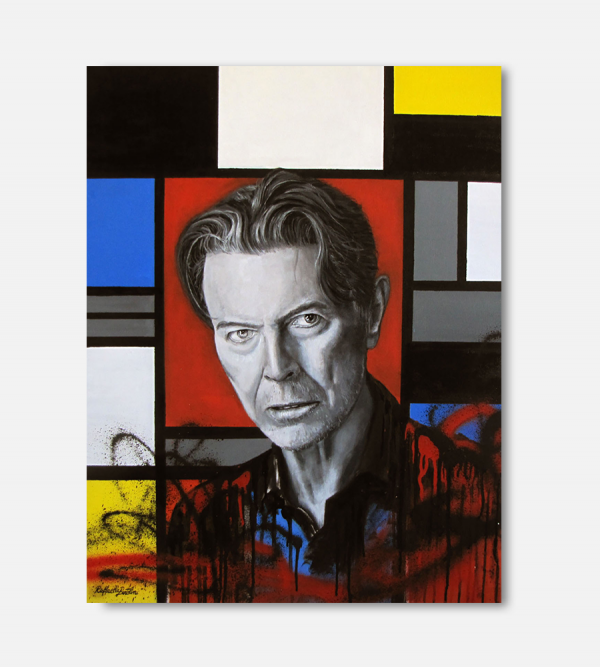 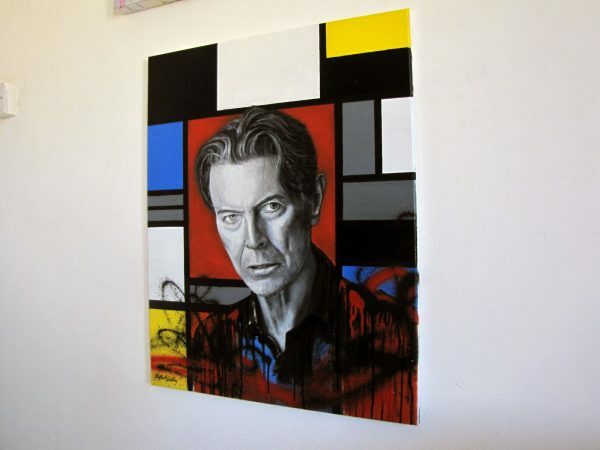 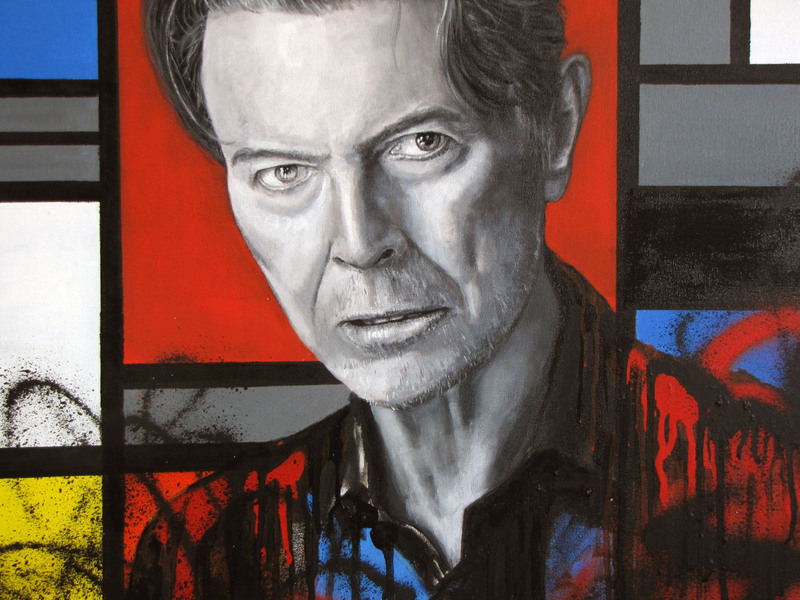 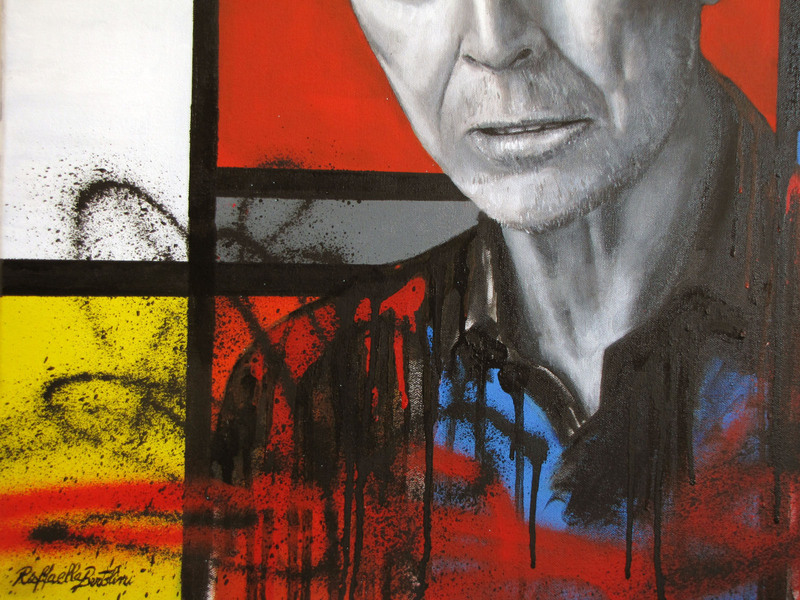 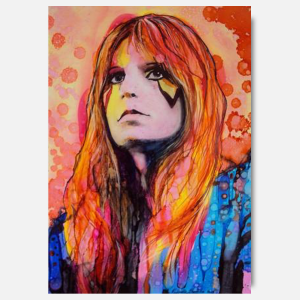 Music and visual art have long shared connections, although not directly connected both Mondrian and Bowie were visionaries, ahead of their time and Mondrian ‘s famous works have been widely used in advertising and fashion since the ’60s, becoming object of popular culture. 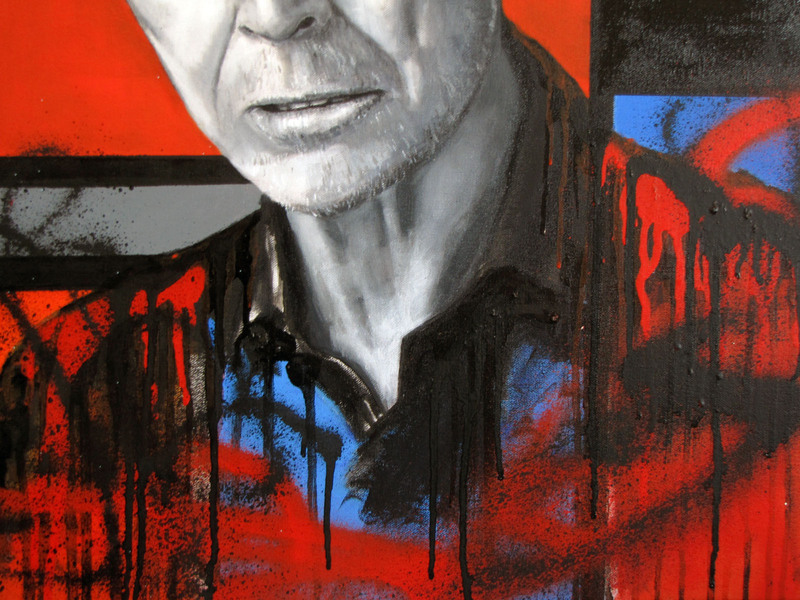 Oil and Spray paint on 60 x 75 cm Canvas.